When we think about hardwood for our floors...we generally think and talk about solid 3/4" strips of wood stained to the colour we want to enhance the look of a room. There are many things to consider when shopping for your Hardwood floors. Listed below is information to consider before making your decision. The standard thickness of Solid Hardwood is 3/4" thick and can be found in multiple widths such as 2 1/4", 3 1/2", 4" and 5". Hardwood flooring is generally available in random lengths ranging from 12" - 84". The most common wood species used for solid hardwood flooring consists of red oak, white oak and maple. Solid Hardwood floors are constructed from one solid piece of wood manufactured with tongue and groove sides that interlock together when installed. Floors can be found and installed unfinished or pre-finished. 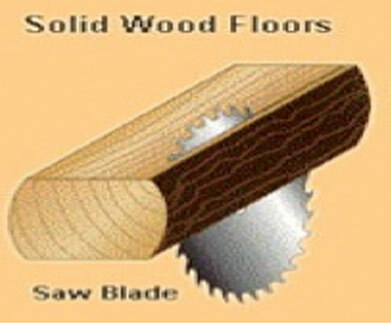 Solid hardwood floors must be nailed or stapled to a proper subfloor. Solid Hardwood floors are sensitive to moisture and it is not recommended to install these floors below ground level, or directly over top of a concrete slab. You can refinish, or recoat solid Hardwood floors several times, which adds to their appeal and to their long life. Quality prefinished floors come with an aluminum oxide protective layer to strengthen the finish prolonging the new look. All solid Hardwood floors will react to the presence of moisture. In the winter months, moisture releases from the wood causing the floor to contract. In the summer months when the humidity is higher, the Hardwood will absorb moisture and expand. Humidity levels in your home should be maintained within manufacture's recommended levels throughout the year. When choosing Hardwood flooring there are many different things to consider. One of the most important considerations should be the quality of the wood. There are many grades of Hardwood available to meet and suite everyone's budget. ROOMS-CANADA believes you have the right to know exactly what you're getting. According to the National Wood flooring Association (NWFA) here are some examples of the grades that are available in Hardwood. With the differences highly visible, below are the grading levels ranging from highest to lowest. CLEAR GRADE - A mostly heartwood flooring product that allows all the natural heartwood colour variations with minimal character marks and limited colour variation. This combination features the infinitely variable grain patterns with the minimal distraction from character marks and colour variation. SELECT AND BETTER GRADE - Contains all the variations in coloration produced by the contrasting differences of heartwood and sapwood. Also included are minimal character marks, such as small knots, worm holes, and mineral streaks, as well as slightly open characters. The combination creates a floor where the light sapwood and dark heartwood are combined with small characters and other small colour interruptions. #1 COMMON GRADE - A flooring product characterized by prominent colour variation that also contains prominent characters ( with size limits) such as knots, open checks, worm holes, along with machining and drying variations. 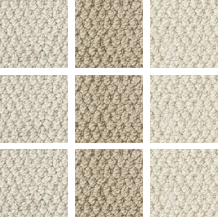 No.1 common is a tasteful floor where prominent variation is expected. #2 COMMON GRADE - Contains sound natural and manufacturing variations including knot holes, open worm holes, and other open characters along with prominent colour variations. Manufacturing variations include drying characters and machining irregularities. No. 2 common is most desirable for applications where numerous notable character marks and prominent colour contrast is desired.